DC SAFE began as a project of the DC Coalition Against Domestic Violence in 1997 with just a few Advocates providing court-based services. In 2006, we incorporated as an independent nonprofit organization and immediately began developing our robust crisis intervention services, which are now the foundation of our work with survivors. 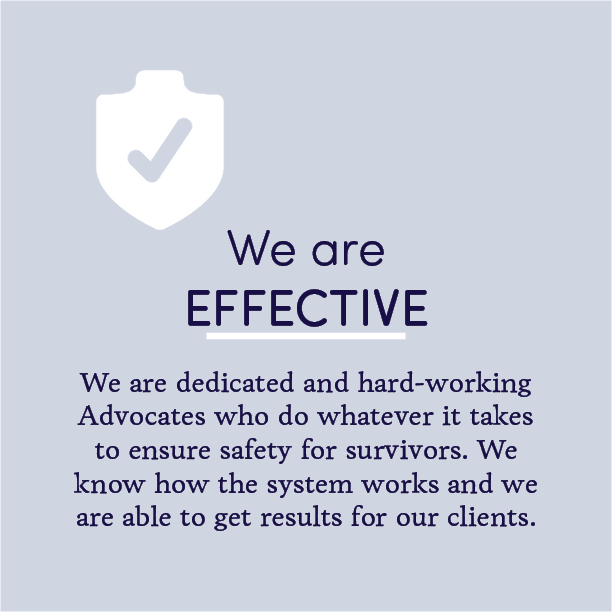 Our name, DC SAFE, stands for Survivors and Advocates for Empowerment, which demonstrates our commitment to survivor-defined advocacy, in which we recognize that survivors are the experts in their lives and should be empowered to make their own decisions. We are proud to be a leader in this service model, providing support for empowerment for thousands of survivors each year.